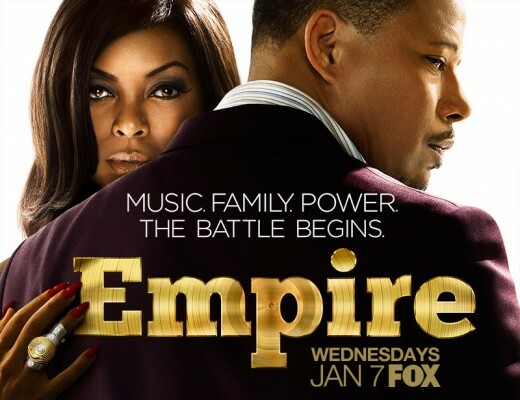 ‘Empire’ Brings in FOX’s Highest Ratings Since 2012! The FOX Television Network is unfortunately known for launching numerous new shows just for them to fall off or for them to be cancelled after one season or just a few shows. However, Wednesday night’s premiere of its newest drama, “Empire,” managed to intrigue just under 10 million viewers and hopes it doesn’t fall prey to the past. The FOX Network seems to have made a huge comeback following low ratings this fall with the Wednesday night premiere of its newest hip-hop centered drama, “Empire!” FOX reports that the one-hour show starring Academy Award nominees Terrence Howard and Taraji P. Henson was the highest-rated debut since 2012’s “Touch” as it obtained 9.8 million viewers! The show also garnered a 3.7 rating among the age bracket of 18 to 49. As it stands, the show landed in the number one spot as far as time slots AND in key demographics. Comparatively “American Idol,” which aired an hour before the music industry drama series, kicked off its 14th season with just under 11 million viewers but only a 3.1 rating, which reportedly are significantly low numbers for the franchise’s premieres. I got a chance to watch the show and was very intrigued by the story line, characters, and, of course, the music that was the centerpiece of the show. There were surprises here and there and I honestly am looking forward to continuing to see how this story will continue to unfold. Did YOU catch the premiere? What did you think about the show? Will you continue to watch? Share your thoughts in the comments below! ‘Empire’s’ Taraji P. Henson, Jussie Smollett Join NOH8 Campaign!